Sansan Lin is an associate in the litigation department. Her practice includes disputes involving managed care, contracting, sequestration, reimbursement, unfair business practices, unfair competition, discrimination, retaliation, California’s Health and Safety Code, and the Knox-Keene Act. 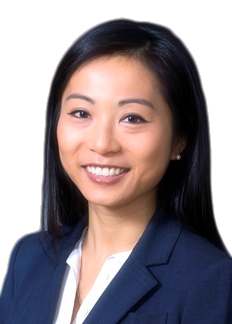 Ms. Lin represents provider groups, including health systems and hospitals, in a variety of matters, including class actions, arbitrations, mediations, and complex civil proceedings. Ms. Lin received a B.S. degree in Molecular, Cell, and Developmental Biology with a minor in English from the University of California, Los Angeles. She received a M.P.H. from the George Washington University with a concentration in health policy in 2010. She received her J.D. from Loyola Law School of Los Angeles in 2014, graduating order of the coif and in the top 5% of her class. While at Loyola Law School, Ms. Lin served as the Chief Symposia Editor on the Loyola Law Review. Prior to joining the firm, Ms. Lin worked at the UCLA Center for Health Policy Research as the Health Research and Privacy Compliance Coordinator. Patient Safety Work Product Privilege: Does It Still Exist?